Whilst observing country music from a distant land, there are a handful of traits that form an identikit well before the first sound is heard. Hail from a small town with a memorable name, work your way up from the depths of the employment ladder and inject some real life anguish into your songs. Even if none of these traits applied to Kelsey Waldon, it wouldn’t take long to realise that she was born to sing country music, in fact one line on the opening track of her new album will do. I’VE GOT A WAY is Kelsey’s highly anticipated sophomore record and is set to confirm her status as one of the rising stars of the country music scene as anointed by several respected observers. 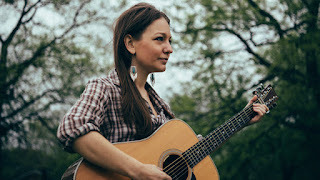 So before we delve deep into the riches of this enthralling album, let’s bask in Kelsey’s delightful hometown name of Monkey’s Eyebrow Kentucky, respect that she pitched her songs in the bars of Nashville whilst supporting herself via low paid jobs and acknowledge the inspiration to find music as therapy for teenage family difficulties. The background to Kelsey is supplemented by a stellar list of influences leaving you in no doubt as to where her genre leanings lie. Regardless of the backdrop, the proof of her talent blossoms in the glorious tracks that form this self-released album which burns to the embers any remnants of throwaway country pop. In a year where doors opened for Margo Price 4000 miles across the pond, those seduced by the authentic sound of real country music will also fall in love with Kelsey and lap up every inch of this record. Right from the opening steel driving straight up rocker ‘Dirty Old Town’ (not the Anglo folk song but just as good) to the tear jerking exit track ‘The Heartbreak’, the vocals, music and essence brim with glorious country music authenticity. Every slice of this sentimental stab at making a respected record is dripping in pure gold. Whether tackling a couple of unconventional covers or bringing her own compositions to fruition, the production is a credit to Kelsey and her band of helpers. The covers consist of a version of The Gosdin Brothers’ ‘There Must Be a Someone’ in all its crooning glory and a take on Bill Monroe’s ‘Travelin’ Down This Lonesome Road’ with a slightly dark and alternative edge. The originals are headed by the lead promo track ‘All By Myself’, but this is just eclipsed in the stand-out stakes by the timeless beauty ‘Life Moves Slow’, the classic country kiss-off ‘You Can Have It’ and the cleverly written ‘False King’. In fact so effortlessly and seamless that the eleven tracks roll along, it is tough to single songs out, but ‘I’d Rather Go On’ makes a valiant case to banish this theory. Kelsey’s student of life status has served her well in pursuit of making music that matters and the result is a relentless release that refuses to yield. Facile to the core and a contemporary marker for country music ambience, I’VE GOT A WAY will bore a hole in you record collection as it finds its niche. 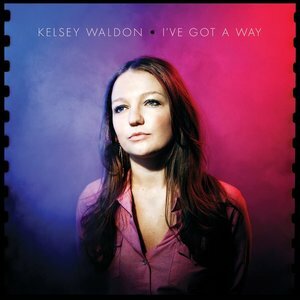 Lashes of rocking pedal steel added to a vocalist who sings as she means it makes this a full on album revealing Kelsey Waldon as an artist ready to repay those who cited her potential. Ultimately it is an album that’s far too retro for a major label. However the winners are those who seek it out and marvel at its sheer composure. Quenching the thirst for unrepentant classic tinged contemporary country music is a deserved final word.